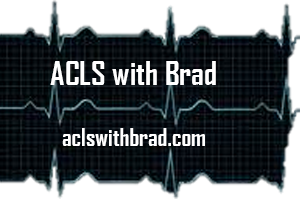 ACLS with Brad is a training center that is authorized by the American Heart Association. Based in Houston, Texas, we train and certify health care personnel in Basic Life Support (CPR/BLS) and Advanced Cardiac Life Support (ACLS). The American Heart Association designed the CPR classes that we use. These classes give a wide variety of health care professionals the ability to recognize several life-threatening emergencies, as well as the ability to perform CPR; use an automatic external defibrillator; and relieve choking in a safe, timely, and effective manner. Through this ACLS course, health care providers and lay persons learn the best way to treat someone in cases of heart attacks or other cardiopulmonary emergencies. The American Heart Association's ACLS Course emphasizes the importance of high-quality CPR and the integration of effective CPR with advanced cardiovascular life support interventions. It also emphasizes effective team interaction and communication during resuscitation. At ACLS with Brad, we specialize in a classroom setting with hands-on training. Whether you are seeking your certification/recertification as a work requirement or for personal reasons, we provide low stress classes designed for your needs. We limit the amount of students per class, usually to five students, in order to afford attendees the chance to understand the techniques taught during the course, and to offer special attention when needed.